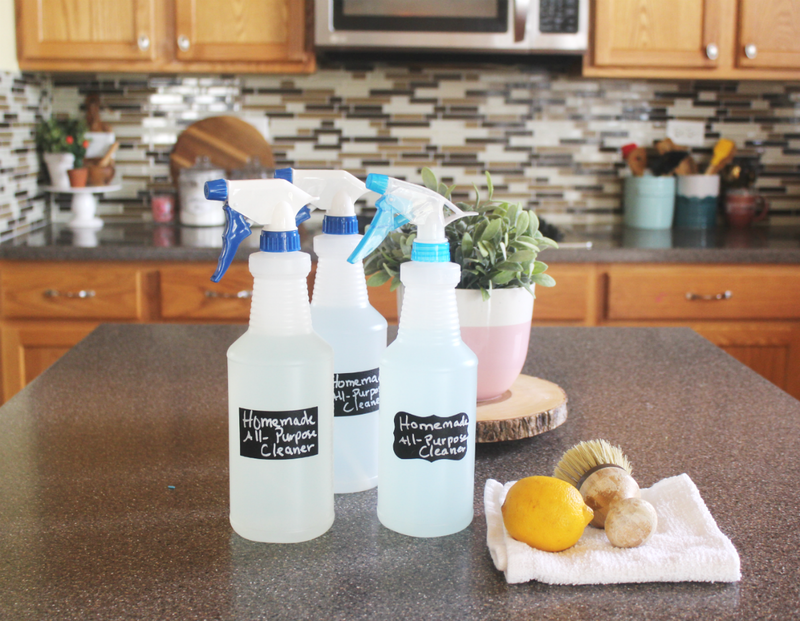 Homemade cleaning products are a sure way to help families save money and cut down on the use of harsh cleaning chemicals. I have been making this simple homemade all-purpose cleaning spray for quite a while now using old-fashioned vinegar and water. My family DO NOT like the smell and though terrible the smell may be (according to them because I’ve kind of gotten used to it), it works well. 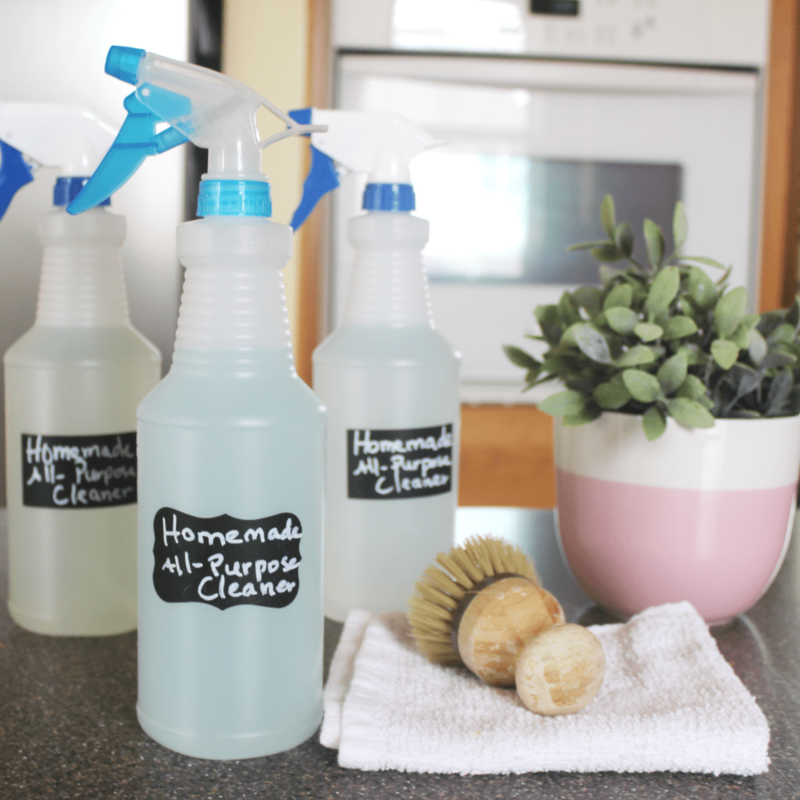 I’ve also been using other natural cleaners around the home and now that I’m writing this post it occurred to me that it may have already saved us a ton of money. I’ve been working on these cleaners for some time now to share with you. I use them daily around the house and and the results are always pleasing. The first one up is my homemade all-purpose cleaning spray. Growing up, we never really bought much of those home cleaning solutions on the market. Much to my recollection, we mainly cleaned with soap and water, vinegar and fresh lemons. It was just how we were brought up and there was no thought as to why we didn’t use another (even if there were other cleaning products available in stores, we we didn’t think to buy them). But if you ask me, our home was always clean. Now that I have my own home, the only cleaning products I enjoy are the ones that I am familiar with such as mentioned above. I’m also OK with store-bought all-natural products but it’s being a while since I have ever bought any since making my own is so much more cost-effective. The ingredients may be different in many ways but that is fine since they probably all do the same thing anyway. I have been using it for years now and it is one of my favorites and so very easy to make. By the way, I am not a seller of essential oils neither am I promoting any brands here. I love using them and simply try to find a brand that works well and is more affordable for our pocket. 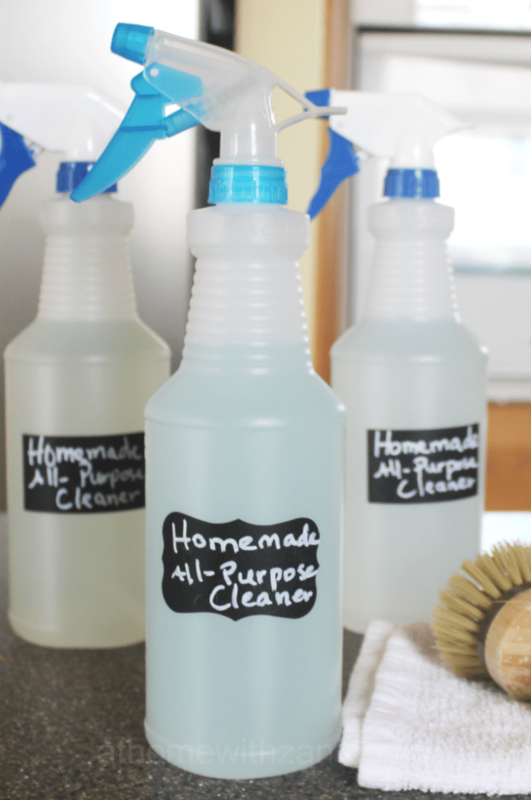 This homemade all-purpose cleaner cleans and deodorizes very well. You’ll find that is home-friendly, very cost-effective and even cuts down on the forever decision about which store-bought cleaner is best for the home. In addition, you can find everything in your grocery store or even your backyard, if you please!! Pour vinegar in a spray bottle. Add water, dish soap, and essential oil. Shake well. To Use: Spray on counter tops, sinks, table tops, fridge doors, or just about any surface that needs to be wiped down. Use a rag to wipe the surface after applying the cleaner. Note: To this solution, I also add some dawn dish soap and drops of essential oils. Both are additional cleaning boosters and the essential oil helps to lessen the smell of the vinegar. So tell me, have you tried homemade cleaners before? Do you and your family love them?